The Adjudicators decision is final in all dancing matters. 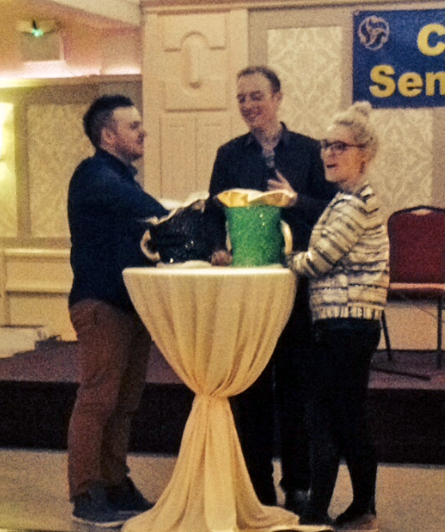 The Adjudicator will not be approached by anyone except the feis committee. St Patricks Day 92/Blackbird 146/Jockey to the Fair 92/Job of Journeywork 138/Garden of Daisies 138/ King of the Fairies 130/ Three sea Captains 88/ The Hunt 130/ The White Blanket 130. Variations may occur on the day of competition. 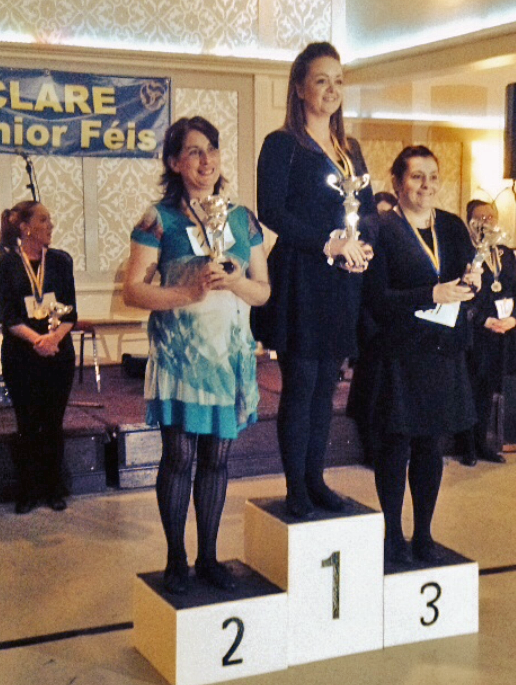 Neither musician nor feis organisers can be held liable for any variations in speed. A safe floor for competitors to dance on will be provided. No responsibility will be held should injury occur while competing or at any other time. 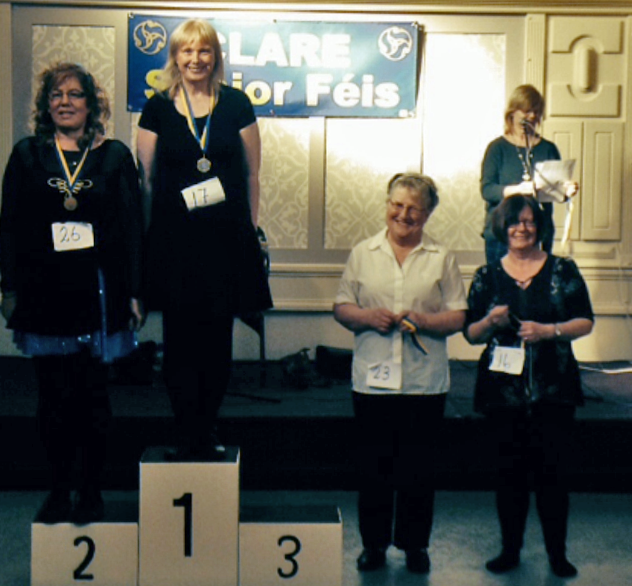 Feis organisers are not responsible for the loss or damage to personal property in the venue. Dancers may be asked to provide proof of age at any time. Dancers should ensure they have a copy of their passport or birth certificate with them. Any persons who have undertaken an Irish Dancer Teachers Diploma (regardless of organisation) may not take part in any Senior Competitions hosted by the AIDT. Dancers should use the changing rooms provided to change in and out of costumes. 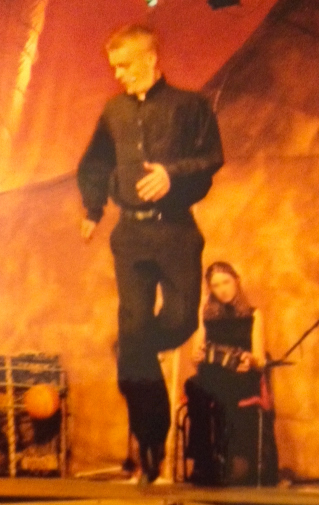 Full costumes must be worn at all times while dancing and for presentations. Dancers must wear either a costume or skirt/trousers and top. Costumes/Skirts must be of an appropriate length so as not to cause offence or embarrassment. Skirt length should be no shorter than mid-thigh at the back of the leg. Kick pants should never be on display. Competitors must wear either white bubble socks or black tights. Where tights are worn, they must be of a denier of not less than 70. Dancers must wear appropriate footwear when they are dancing. Black leather/patent pumps for light dances and black treble shoes for heavy dances. Dancers are not permitted to wear coloured or diamante shoes whilst dancing . White strap allowed on heavy shoes. Buckles are not permitted on pumps/soft shoes or heavy shoes. Dancers should ensure that wigs, shawls, hair accessories and shoelaces are securely in place before they step on the floor to dance. It will be at the discretion of the adjudicator if marks are to be deducted. Dancers up to U 10 are not allowed to wear make-up. Dancers must be ready to dancer 30 minutes prior to the scheduled time of their competition. If dancers age is not catered for they must dance in the next age group. Once a competition has been called ALL dancers must go to the side of the stage. Dancers must report on time to compete or risk disqualification. If a dancer falls they will be allowed to re dance and any loss of marks will be at the discretion of the adjudicator. If a dancer slips, they are to continue dancing and will be marked on this performance. If a dancer enters and wins a competition that they should not have entered the prize will have to be returned and will be awarded to the correct dancer. Beginner and primary competitions will be run on the pickup system (regarding music). Dancers will stand in a line on stage and will step forward 2 at a time to dance the relevant amount of bars. There will be an 8 bar introduction between each set of dancers. If a competitor obtains 1st place in a dance they must compete in the new grade for that dance regardless of which organization they won the dance at. Unless there are 5 competitors in a solo competition, the grade of the 1st prizewinner will not be affected. Results posted will reflect this. The amount of bars danced in competitions are as stated on the syllabus. If a dancer stops at the correct amount of bars and the music continues to play the dancers will not have marks deducted. A dancer will be penalised if the dancer stops before dancing the required amount of bars or during the dance. Dancers in Beginner Grade Competitions are required to dance basic steps. Dancers in Primary Grade Competitions can include rocks and clicks into their steps, steps should be a step up from Beginner. 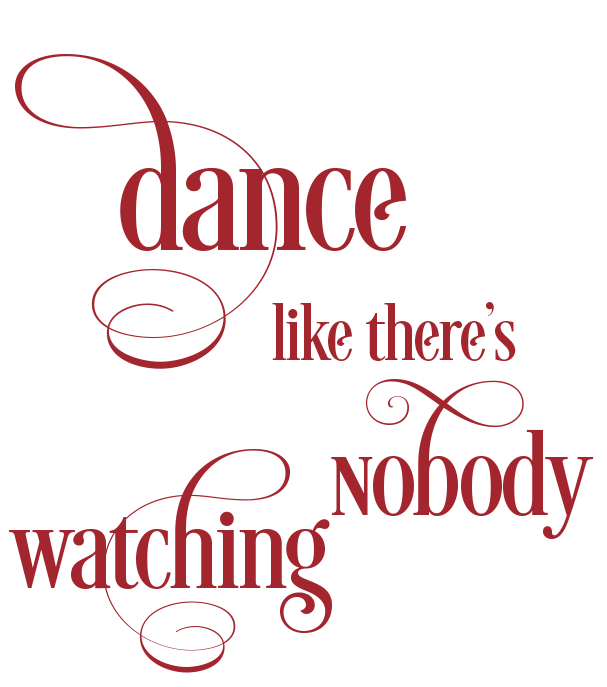 Dancers in Intermediate and Open Grades no restriction on dance material. Light Jigs and Single Jigs must be danced in all grades in their traditional fashion. Traditional set dances must have traditional roots. No toe walking movements either stationery or moving are allowed to be performed by dancers up to and including the U/10 age groups. 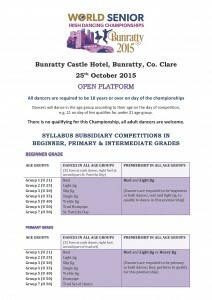 The inaugural World Championships for adults will take place in the Bunratty Castle Hotel, Co. Clare, on Sunday 25th October 2015. 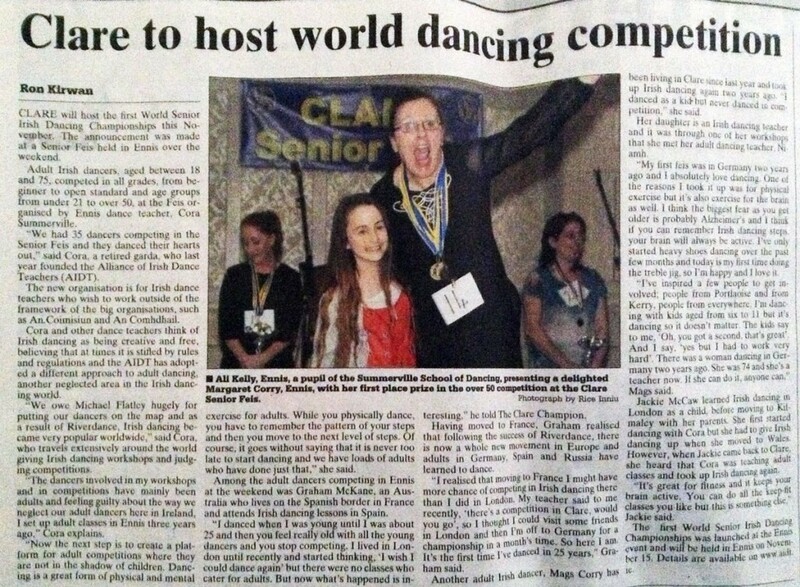 See article below, which appeared in the Clare Champion.